Oh, dear, we’d almost have to call it “Kit House of the Month” at this point. Between vacations, end-of-the-school-year rush and lots of new clients, it has been a little harder to identify some great mail-order houses when they hit the DC market. They’re popular; many of them just seem to sell before we get to them. And a bunch have turned out not to be catalog homes once we went in to take a closer look. This one, however, seems a safe bet, and it’s in a great close-in neighborhood. It’s — according to its agent — a 1920 Sears “Cornell” in Arlington, Virginia, just about a half mile from the Pentagon City Metro station. 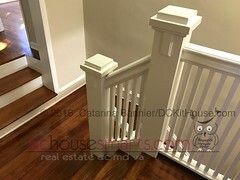 It is full of charming, well-maintained original detail straight out of the Sears mail-order catalog, but also has a bright family room addition, a second full bath (not an original feature in the majority of kit homes of that time), and lovely outdoor space. The two front bedrooms have been combined into one larger room with a bigger closet. You can see a virtual tour here. 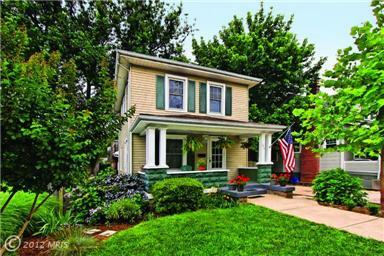 3 bedrooms, 2 baths, listed by Arlington Realty for $750,000. 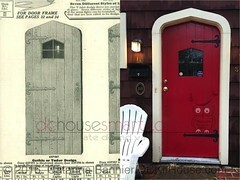 As always, If you would like to see the house or have any questions about this or other kit houses–just let me know! P.S. 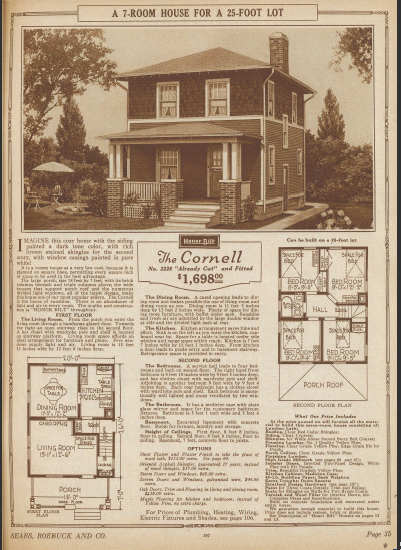 : We actually believe the house might be a Sears “Haven,” the predecessor of the Cornell, as neither the 1920 nor 1922 catalogs show the Cornell yet. It’s also possible that the tax record’s construction date is a little off.